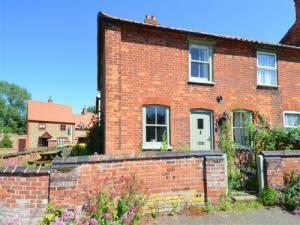 30 Front Street01263 715779work01603 870304fax Self-cateringSituated in the timeless village of Binham, this lovely Victorian flint and brick cottage sits next to the village green forming a great retreat for those who want the ultimate relaxing countryside experience. Further afield are a number of towns and villages, including Holt and Blakeney, which offer some fine pubs and splendid restaurants.. Situated in the timeless village of Binham, this lovely Victorian flint and brick cottage sits next to the village green forming a great retreat for those who want the ultimate relaxing countryside experience. Further afield are a number of towns and villages, including Holt and Blakeney, which offer some fine pubs and splendid restaurants..